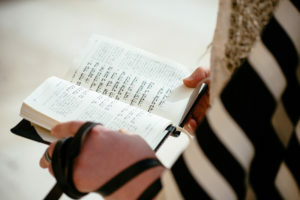 Over the course of two years, Segal and Lebens hope to do their part to advance that discussion significantly by convening a pair of summer workshops in Israel, gathering senior and junior scholars from a variety of disciplines and religious backgrounds to investigate the nature and function of worship from philosophical, scientific, and theological viewpoints. The first workshop, held in the summer of 2019, will take up the theme “Worship and the Divine” and will examine questions such as what makes someone or something worthy of worship, how worship differs from related concepts like deference or honor, and whether anyone has the authority to mandate worship. The 2020 seminar, “Worship and the Human,” will tackle the subject from the opposite angle, looking at topics like whether worship is ever an ethical imperative, whether it is ever unethical, and how worship contribute to (or detracts from) human flourishing. In both seminars, a group of invited senior advisors will serve as the “faculty” while the younger participants will be chosen on the basis of abstracts for proposed work on worship-related topics. Lebens agrees: “Sometimes the focus on a particular religion throws into greater contrast some of the differences between religions, which is useful for practitioners of both religions and people who just want to understand the world around us.” For example, although there are instances of Jewish people praying at the graves of loved ones or praying to angels, those forms of worship have typically been frowned upon. Philosophers with familiarity of Christian traditions of the intercession of the saints or using religious icons in rituals may be able to highlight nuances that might be missed by scholars steeped only in Judaism. Thus Segal and Lebens have designed the workshops around a group of invited senior scholars that includes Jewish philosophers like Yeshiva University’s David Shatz, Catholic philosopher Eleonore Stump, Protestant philosopher and former Yale philosophy department chair, Robert M. Adams, and Saul Smilansky, an atheist philosopher of religion at the University of Haifa. Andrew Newberg, a pioneer in the field of neurotheology, will be part of the workshops, and the organizers hope that younger scholars will include those with backgrounds in psychology, anthropology, and neuroscience to help inform and respond to the work of the senior scholars. Read about the work and backgrounds of Aaron Segal and Sam Lebens.